Angela Richter is an acclaimed Croatian-German theater director, activist and author. Angela Richter is an acclaimed Croatian-German theater director, activist and author. She founded the Fleet Street Theatre in Hamburg in 2001, and was house director at the Cologne National Theatre Schauspiel Köln from 2013 to 2016. 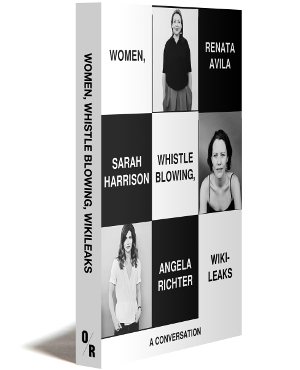 Her interest in WikiLeaks led to the 2012 theater piece “Assassinate Assange.” In 2015, Richter staged the large scale transmedia-project “Supernerds” in co-production with German national TV WDR, dealing with mass surveillance. The text was based on conversations with digital dissidents and whistleblowers, such as Edward Snowden, Daniel Ellsberg and Julian Assange. “Supernerds” received the Eyes & Ears Media Award, was nominated for the SXSW Innovation Award in Texas, and is nominated for the BANFF Award in Canada.